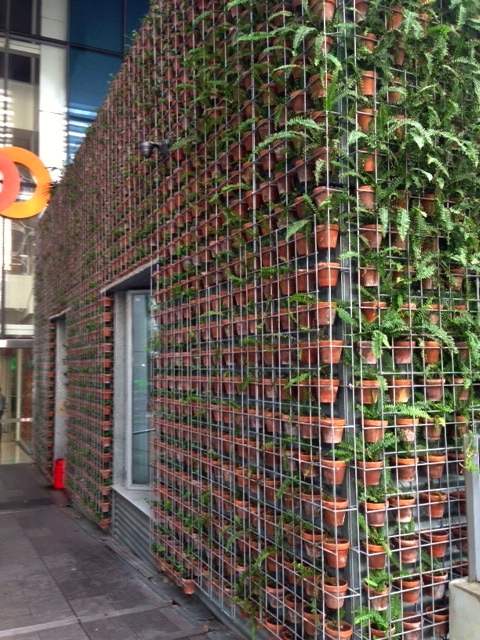 Our roving reviewer, Liz McGuiness, visits Greenhouse, Perth. This morning I’m joining the hip young things of Perth for breakfast. Our eatery of choice is Greenhouse. 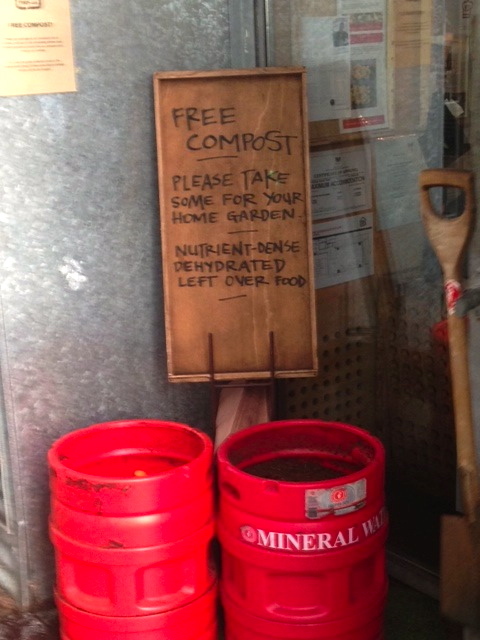 I was pleasantly surprised by the view through the window as I approached and even more surprised by a keg of free compost and a sign inviting customers to take some home for their garden! Inside, my inner hipster rejoiced, for there was repurposed goodness galore!! Light bulbs hung suspended from the bare wood ceiling, embraced by rolls of square holed fencing wire – silent sentinels watching over us as we reviewed our breakfast choices. The menu for both food and drink lay bare the café’s values and the organic theme lay waste to any thoughts of chemical infested fake hollandaise sauce. 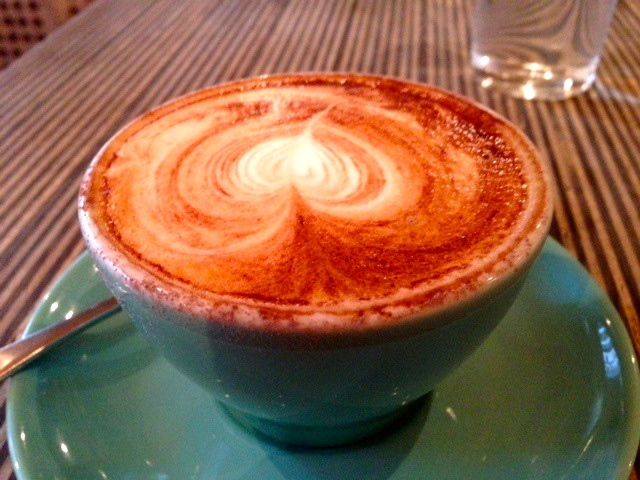 I ordered an organic cappuccino – there is no fat free or skim milk option here – just wholesome hipster goodness. As I truly believe the test of a good breakfast kitchen is the quality of it’s poached eggs, I ordered eggs (organic of course) poached at 62 degrees on organic sourdough toast. 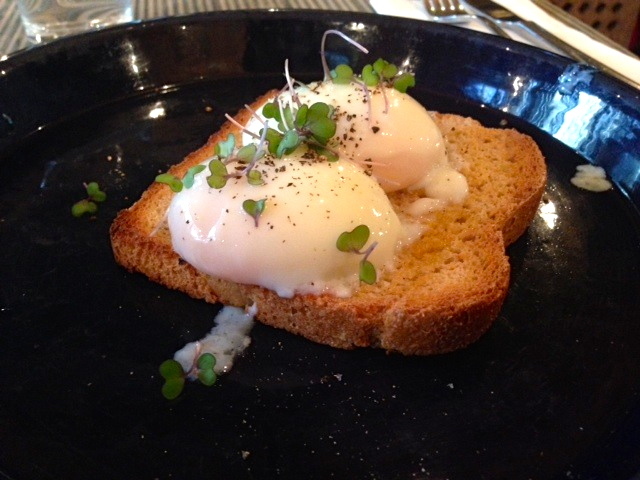 Now call me an everyday Australian, but I’ve never partaken of 62 degree poached eggs before, I was intrigued. Before I describe what came out, let me take you dear reader, on a little wander down Lizzie lane. Until I met my husband 19 years ago, I could not stand having runny eggs and when one was delivered to my plate, it would fill me with such dread that I found it distressing to eat. Unless it was on toast, then I could mop up the mess with the last of my soggy bread. So I would order my eggs to be harder than a gunner’s guitar riff. Fortunately, the ghost of Barney past introduced me to the pleasures of runny eggs and the enjoyment that could be had from eating them. So, you’ll appreciate that had it been 19 years ago, I would never had even attempted to eat the delight that came out on my plate this morning. Perched upon a delicious looking piece of sourdough, were two divinely poached eggs. Kudos to the chef because he had managed to contain the very essence of the egg yolk, suspended in translucent white. The taste was exquisite silk on silk and surprisingly, despite it’s seemingly frail appearance, the entire egg white held its integrity while I devoured it. The coffee was so sublime, I had another cup before I plunged outside to join the other lemmings as we trudged our way to work. But secretly, I was smiling inside, for I had escaped the rat race for just a moment, and savoured a real culinary breakfast treat. Great post!! What an establishment! Liz is a very good writer! Wow this looks like a place I would love. I love this post. I liked how you described everything, it is very well written. Thank you for sharing! this place looks amazing. 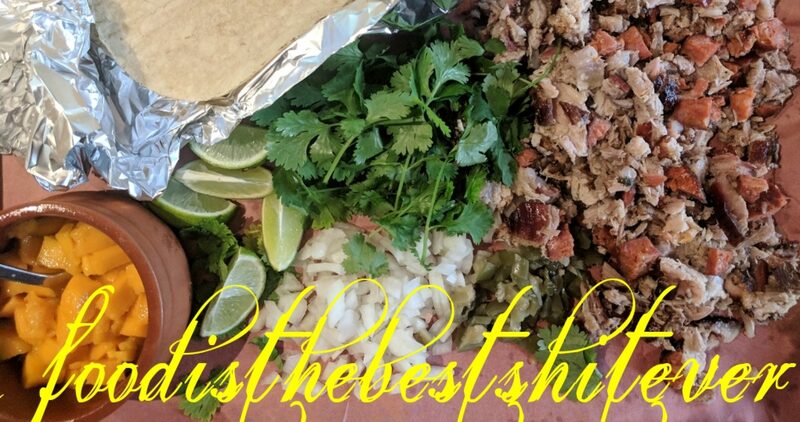 We’ll put it on the list for when we come back for a visit.